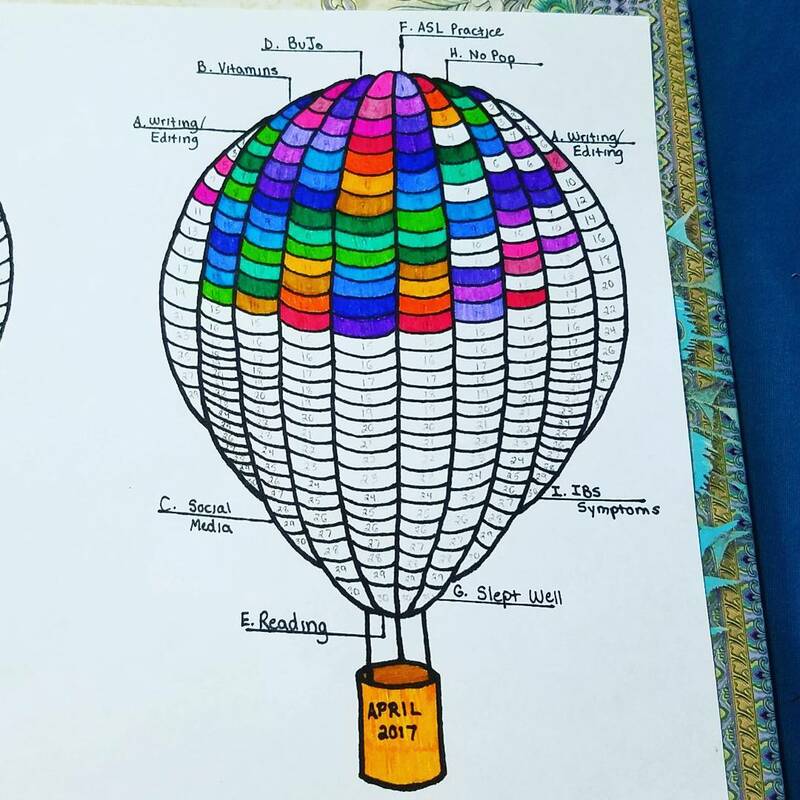 Trackers are very popular in the bullet journal community. You can choose to track almost every aspects of your life (mood, sleep, workout…). This article will focus on habit trackers and how they can help you in your daily life. 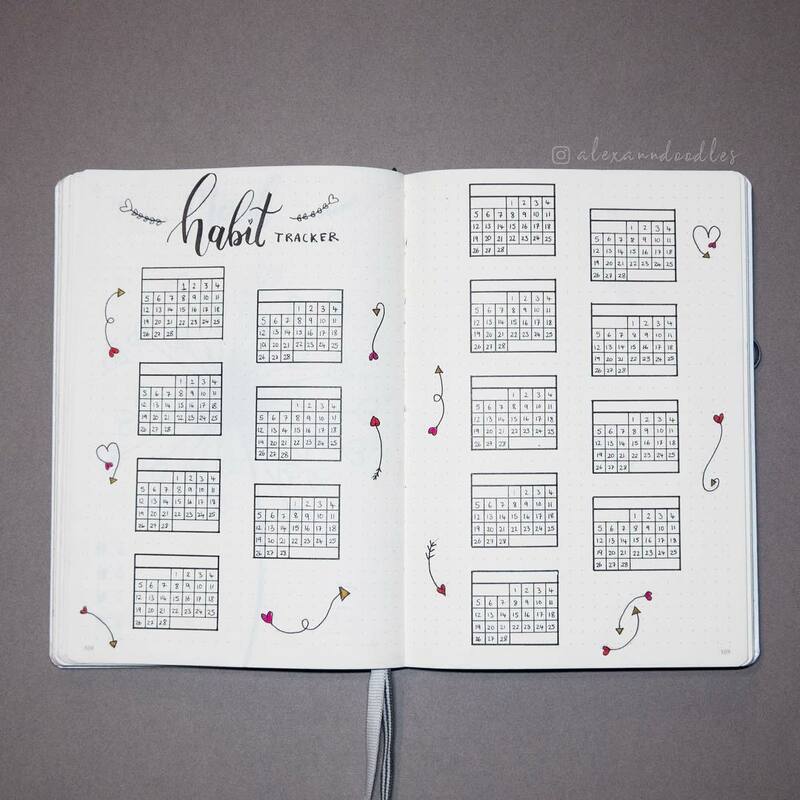 What is a habit tracker? How does it work? 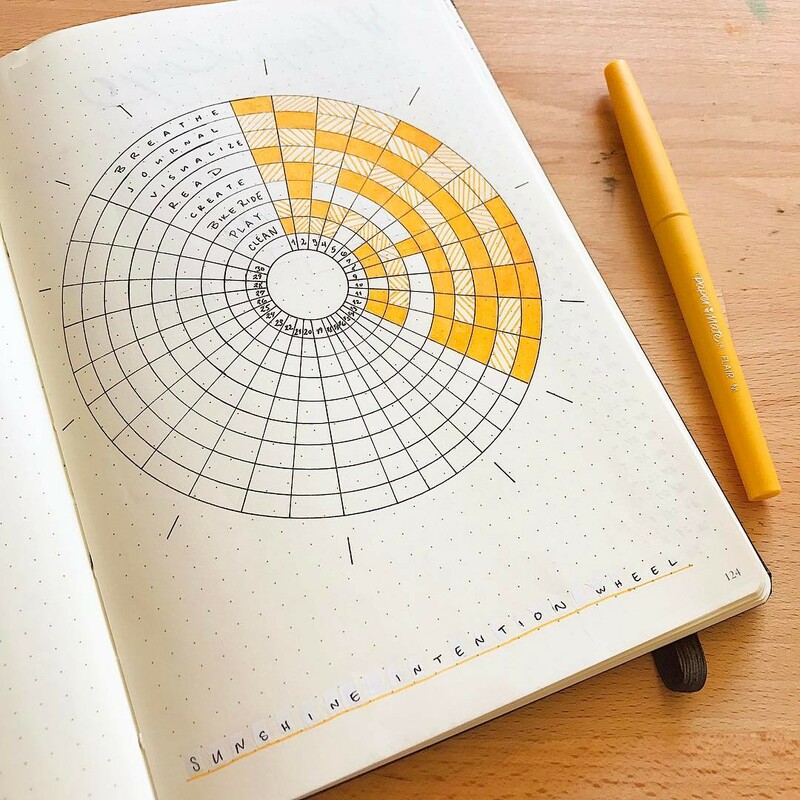 A habit tracker is a great tool that allows you to avoid writing the same tasks over and over again in your bullet journal. 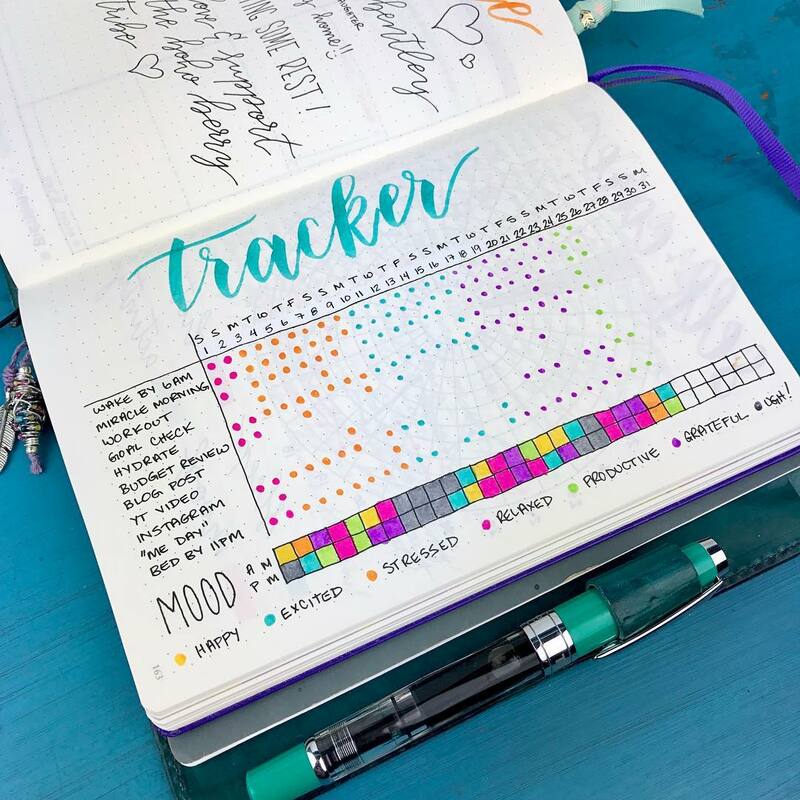 With a habit tracker, you just have to check or color a box! Let’s take a quick example : you want to track the event « bed before 11PM ». If on the first of the month, you went to bed at 10:30PM, fill in the correspond box. If on the second of the month, you decided to watch all of the Harry Potter movies and went to bed late at night, leave the box empty. 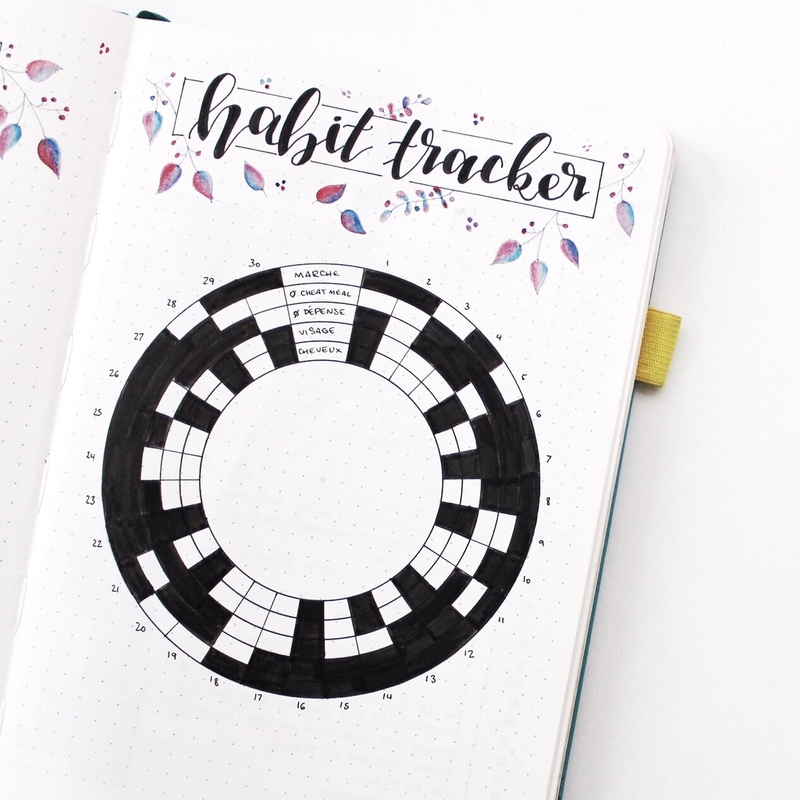 Habit trackers usually take the form of a double entry table including the days and a list of the habits you want to track. 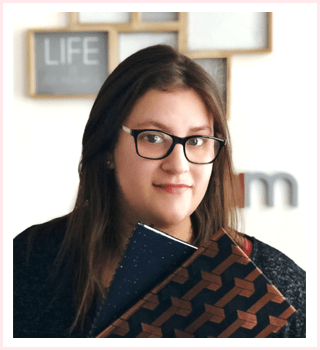 But the bullet journal community is full of talented and creative folks who came up with a lot of different layouts for habit trackers. Circular habit tracker by Kim (@tinyrayofsunshine). Printable available on Kim’s Etsy shop. Okay, now that we understand what is a habit tracker, what is it for, what’s its purpose? 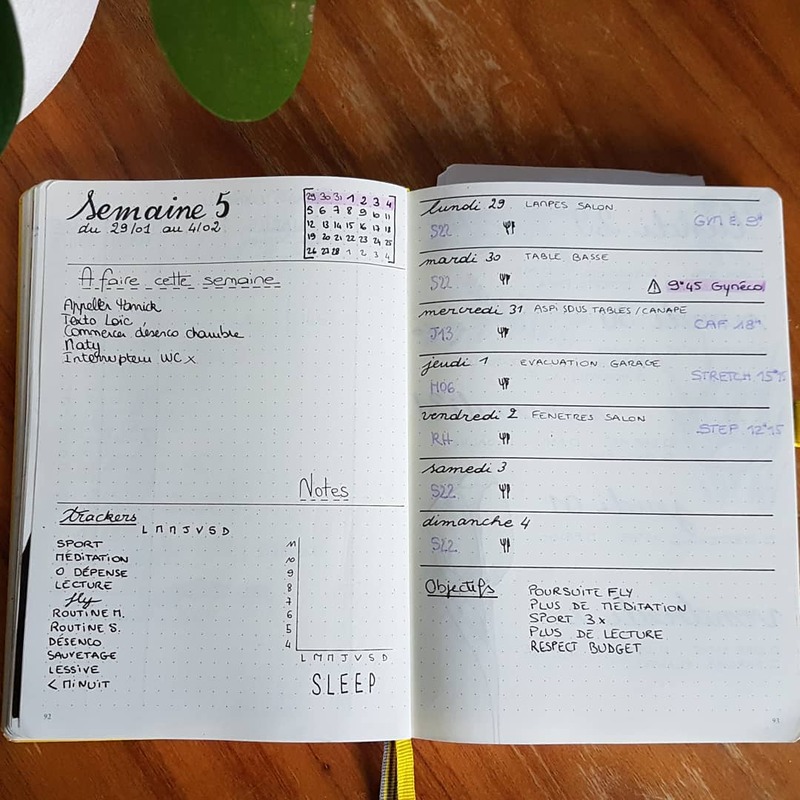 The main goal of a habit tracker is to save time and space in your bullet journal by not having to re-write the same tasks multiple times per week. But it’s also a great way to achieve goals and set up a daily routine. 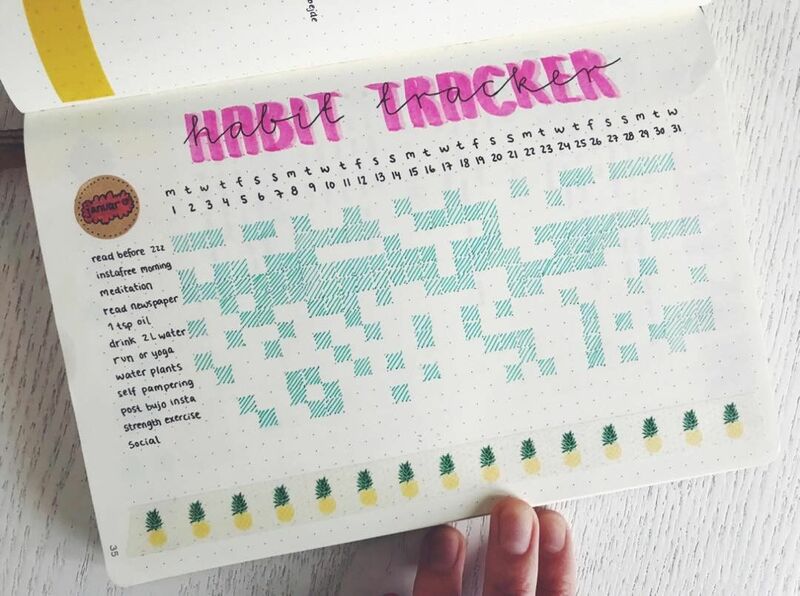 A habit tracker can be very useful when it comes to goal achievement. Checking boxes on a page of paper could seem insignificant. But I find it encouraging. Coloring a box at the end of the day is very satisfying! The same way, you can use it to set up or consolidate a routine. Choose what you want to track depending on you and on your needs. Don’t follow the social media trends. Try to limit the amount of habits you track. Tracking too much things can be overwhelming and become a chore, which is the opposite purpose of it! At the end of a month, don’t just create another tracker. Take some time to analyse the habit tracker you just completed. Why would you fill in all of these little boxes without taking the time to review all the collected data that the tracker offers you? ⁃ Did you color enough boxes? ⁃ Are the colored boxes following a pattern or are they randomly distributed? According to the answers of these two questions, determine if the habit you tracked has been a success or a failure. In case of failure, try to elaborate a strategy to transform this failure into a success! Try to put your finger on the reasons why you didn’t succeed. Reviewing your habit tracker and analyzing its content is a really important step if you want to draw lessons from it and improve your routine. 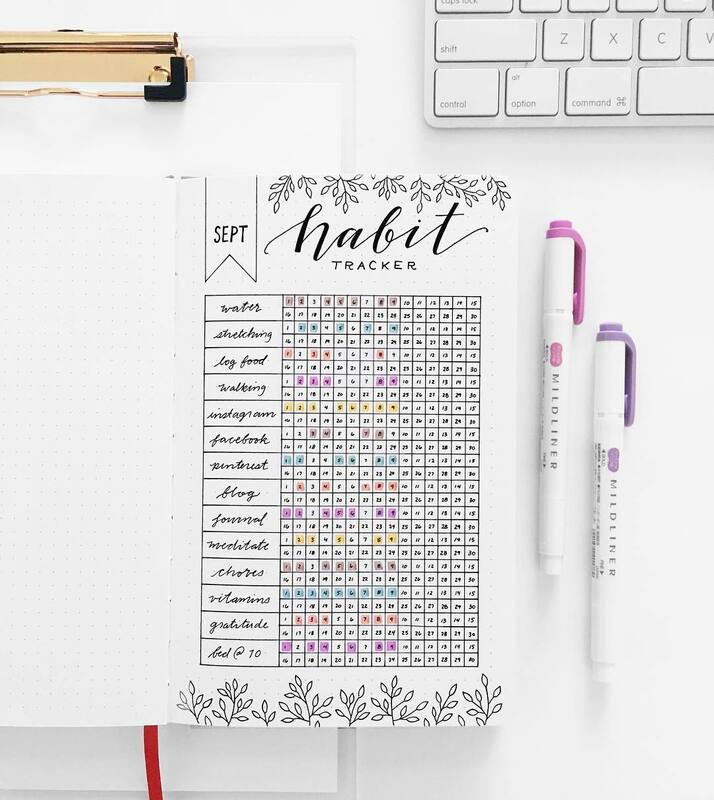 How and when should I fill in my habit tracker? Using your habit tracker on a daily basis has to become a habit of its own. Try to include it in your daily routine. To make it work, you really need to use it every day. Don’t try to rely on memory to fill out previous days, it’s a lot more complicated than it seems! 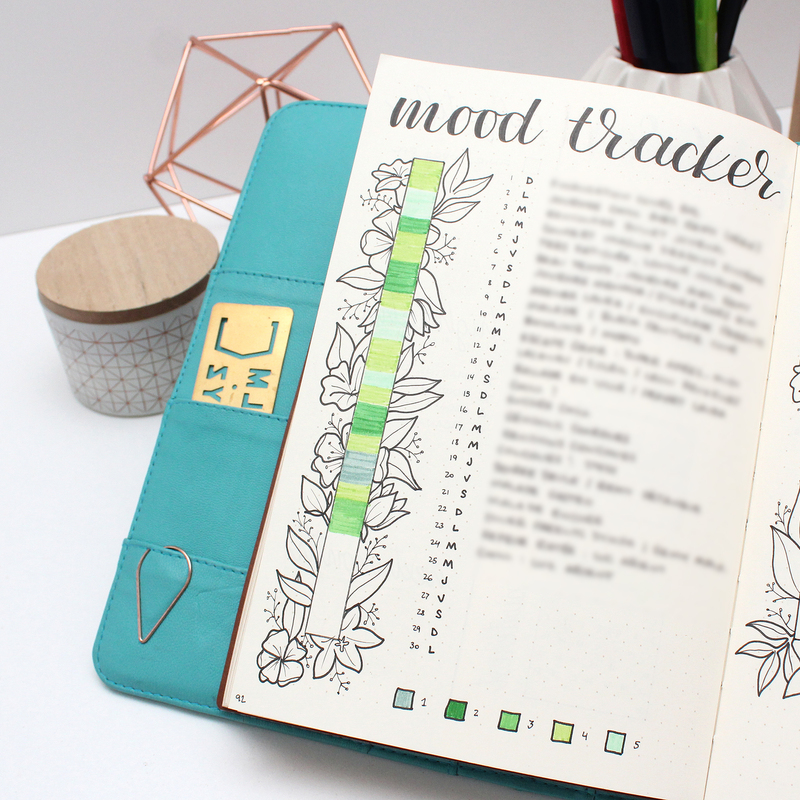 Don’t forget that a habit tracker is supposed to help you improve your daily life. If you’re forcing yourself to much or if using it is a chore, maybe it means that it doesn’t suit you. And you know what? That’s not a big deal. You saw this gorgeous tracker on your favorite Instagramer’s feed? You want to have one as well? Ok, fine! But if at the end of the month, your tracker is barely half filled, it means it wasn’t useful and that you don’t need one. What layout should I use? Depending on your preferences and needs, you can choose to create a weekly habit tracker or a monthly habit tracker. If you want/need a long term tracking, choose the monthly tracker. It will give you a comprehensive view of the tracked habits and will allow you to easily analyze them at the end of the month. If you’re still trying to find the best routine for you and your family, try a weekly tracker. They are a bit more stringent because you’ll need to draw them every week but they are a lot more flexible and can be adapted to your changing routine. This article is the occasion to announce the creation of a resource library on Plan With Ady. 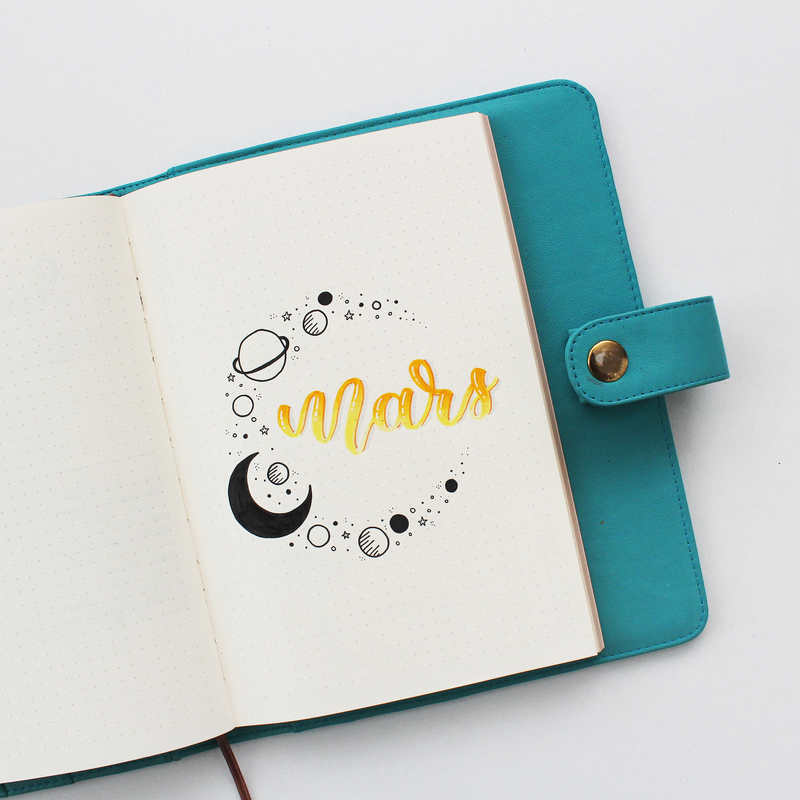 I’ll be uploading free printables for your bullet journal or planner. And since this post is about habit trackers, the first printables are habit trackers! 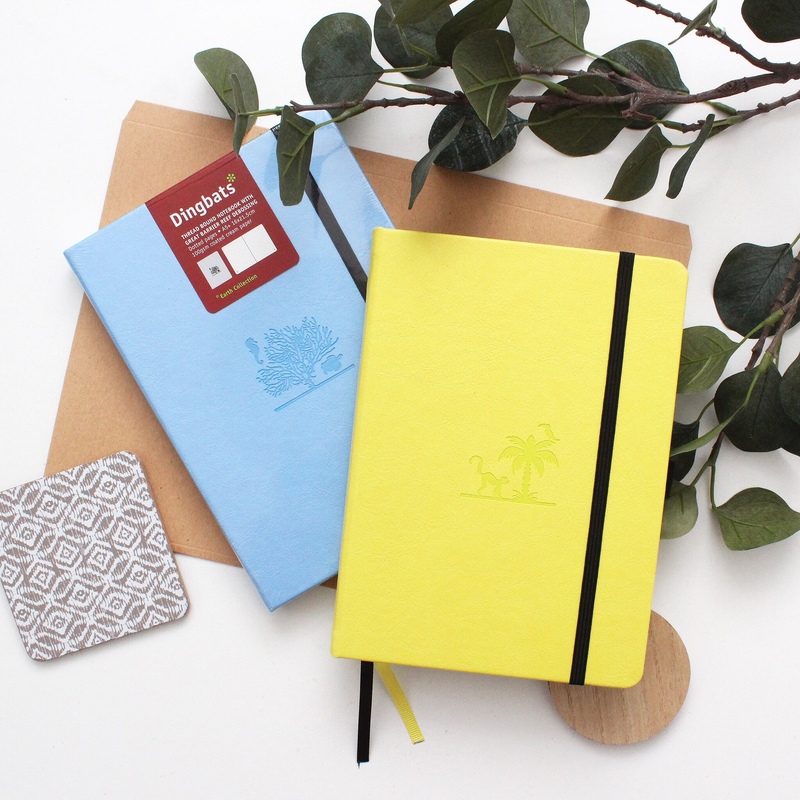 Available in both dotted and squared versions (30 or 31 days).